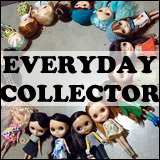 BlytheLife.com » Closet Clean Out: Anxiety? If it’s something that’s worth more to you than the amount of money you’d get from it, you shouldn’t sell it. Of course, he likened my attachment to doll things like his attachment to vintage video games. It’s incredibly insightful though. I think he was just trying to make it “okay” for me to not part with things, even if I do feel like that I need to do some purging. It’s getting a little out of control and it’s just all so much stuff even though I know there’s many, many (many) other Blythe collectors with a lot more clothes, shoes and dresses than I have. But he’s a smart cookie and I do listen to what he has to say. After all, at the end of the day, if it’s something that I wouldn’t miss because I love it that much, is it worth me keeping it? For now, I’ve got what I’m keeping and what I’m selling and there’s no ‘maybe’ pile. If it turns into a maybe, it goes into the sale pile. If I need to think about it, it’s not worth it to me to keep because clearly I don’t want it that much. What kind of tips do you have for people who are new to clearing out the dolly closet? 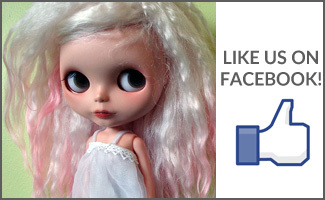 QOTW: How good are you at purging the dolly closet? 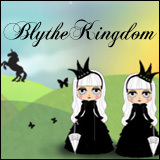 QOTW: Purging the Blythes’ closet? Whats a closet clean out? I think that’s a great method for purging stuff! Asking yourself to make quick decisions and cutting out the waffling can really help. I used to be a person who hung on to everything because I thought I would miss it; WHAT IF I MISSED IT??? But I have never once missed anything I made the decision to toss or sell, so I think sometimes the “what if, though, just WHAT IF I regret it” feeling and all the anxieties associated with selling/trading online can be stronger than the actual attachment to the item. I’m very shy so I have more anxiety wrapped up in the process of pricing/posting/selling stuff for a closet clean-out than actually parting with stuff!